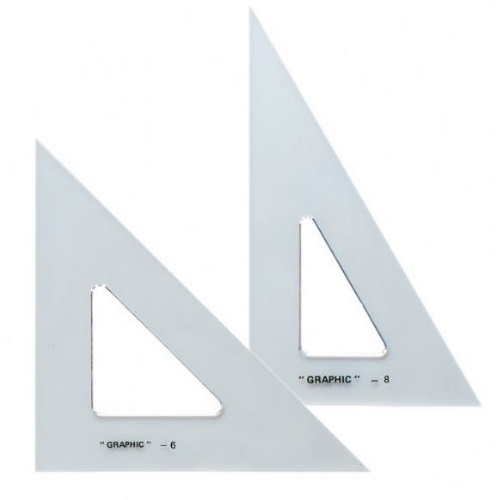 Economical drafting tool features professional-quality, molded 0.08" polystyrene. Built-in finger lifts to make handling easier. Set of 2 triangles: 6" and 8"